At DTJ, we like to push the limits of design. We strategize and explore. We work hard and laugh hard. And we help our clients experience creativity at every turn. Join our team of epic creators. Entry Level to license track designer/architect: 0 to 5 years’ experience, proficient in Revit, Sketch-Up, Adobe Creative Suite, and have good hand graphics skills. We are looking for someone who is a team player bringing passion, artistry, and positive energy to our design firm. A Bachelor’s or Master’s Degree in Architecture is preferred. Experience in one or more of DTJ’s areas of focus is ideal. 5-15 years of experience who bring excellent project delivery skills. 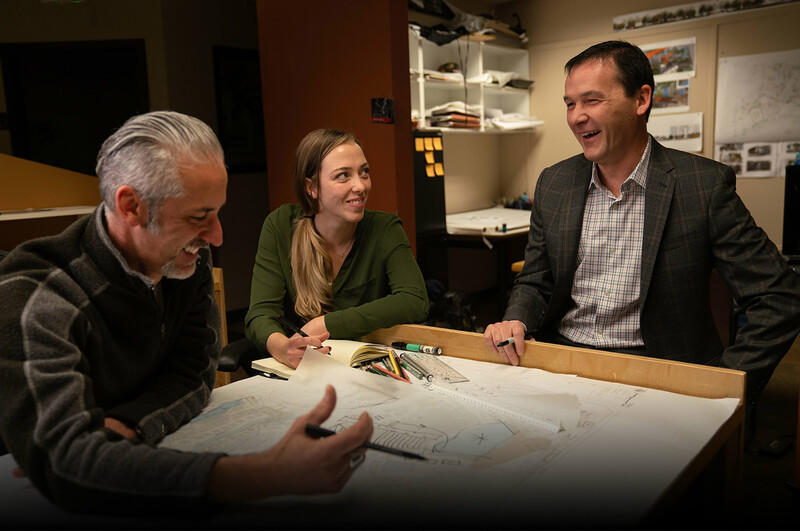 Ideal applicants should be able to balance design creativity with solid construction knowledge, have an organizational focus and Revit knowledge. Being able to express design thoughts through hand sketching, Sketchup and the Adobe Creative Suite is desired. Leadership qualities will be expected. Experience in one or more of DTJ’s areas of focus is required; experience in primary housing is ideal.